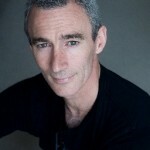 Jed Brophy and Weta Workshop propbuilder Samantha Swords star in the new short film ‘The Offering’, written and directed by Elizabeth Crummett. ‘The Offering’ is a unique take on the classic damsel in distress story, and features some lively swordplay between Jed and Samantha. Watch it here; you can also follow the production on ‘The Offering’ Facebook page.